Product prices and availability are accurate as of 2019-04-16 17:30:40 EDT and are subject to change. Any price and availability information displayed on http://www.amazon.com/ at the time of purchase will apply to the purchase of this product. 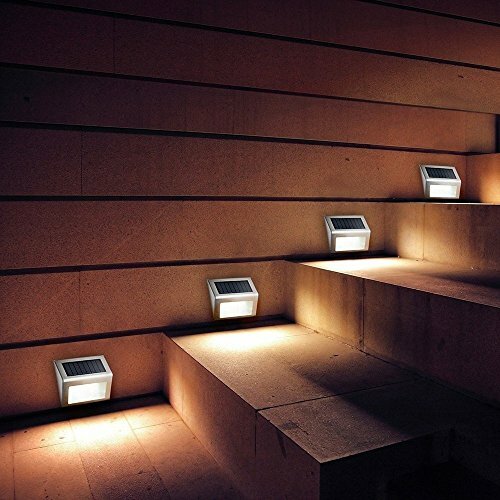 This modern LED solar stair light is fantastic for lighting, decorating and marking. It can be easily mounted either vertically or flatly on staircases, paths, gardens, decks, docks and fences. 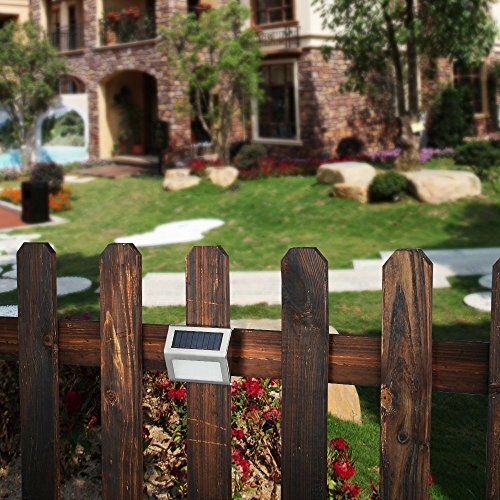 The battery enables the light to run up to 9 hours through the night and recharge automatically during the day. 1. Please put the light under the standard sunlight 6 to 8 hours before using it. 2. Working power of the solar panel will be influenced by weather, location etc. 3. Get charged only when switched to "ON". 4. Waterproof in rainy and wet conditions, but don't dip it intentionally in water. 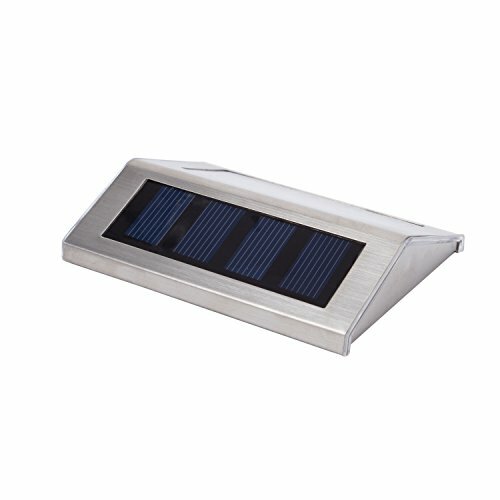 Solar Step Light Parameter: Material: Stainless Steel & ABS; Charging Time: 4-6H; Work Time: 8-12H; Luminous: 24LM; Daylight 6000K; Waterproof Rank: IP55. 'Auto-on' at night and 'Auto-off' by day. 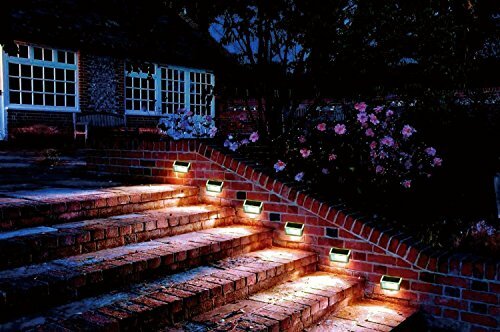 Each light features 2 LED Bulbs; lasts 50,000 Hours Perfect for illuminating stairs, paths, decks, gardens, etc., or use as an accent light for lawns, gardens, etc. 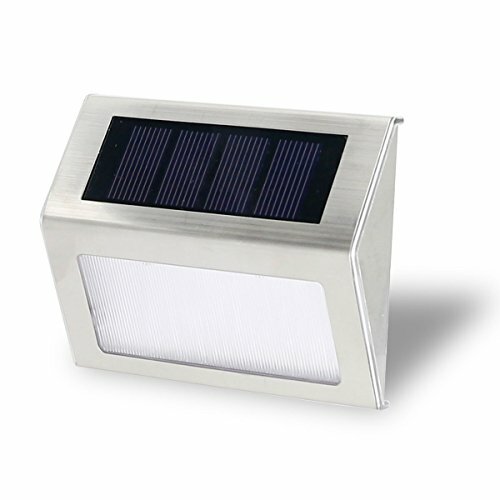 Waterproof & Durable - Solid stainless steel construction for withstanding years of rain, snow, ice and wind / Includes a powerful 600Mah 1.2V Ni-MH rechargeable battery for up to 8 hours of illumination on a full charge; Fast & Easy Installation - No wiring required; simply screw it onto the surface. 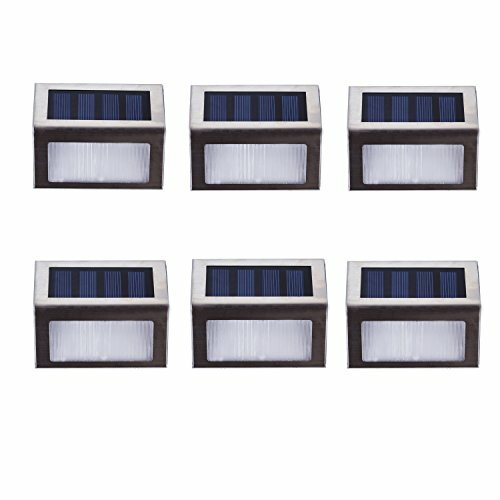 (Screws included) Package includes 6 Solar Step Lights.